With the Isle of Wight Festival celebrating their 50th birthday this weekend we thought we would scour through their extensive line up for this years celebrations and pick out some top bands that you have to see. Some maybe obvious must watches and others may have slipped by the radar but all are going to be definitely worth a watch! Kicking things off with one of the more obvious of choices, the Friday night headliners. They should be an absolute no brainer to go see for just pure fun value alone, let alone the endless absolute bangers these guys have in their repertoire, definitely don’t miss! Okay, okay, another headliner, we know not exactly one that would of fallen off the radar. Liam has had an absolutely blinding year so far and there is only one way to describe what his show will be like. Biblical. Rocking out the Kashmir Cafe, Bullybones will be bringing their mix of retro rock ‘n’ roll sounds and punk vibes which will combine to make a loud and raucous affair that you will regret not witnessing, it’s impossible not to enjoy this shot of new nostalgia. Another one that is having an absolutely cracking year, Tom Grennan has been touring non-stop and with each single he brings out it shows off his diversity and no end of talent that will just keeping shooting his stock upwards. Catch this guy when you can, as he is destined to keep going up and up. Mad mix of sounds that in theory shouldn’t work together yet sound absolutely brilliant, we here love bands willing to experiment with instruments to create new sounds and Ivory Wave’s does a cracking job of it. Just a few suggestions off an absolutely stacked line up for Isle of Wight’s 50th anniversary, if you are heading that way this weekend, you are in for an absolute treat! New Noise 08/06: Idles, Deaf Havana, Dott and more! 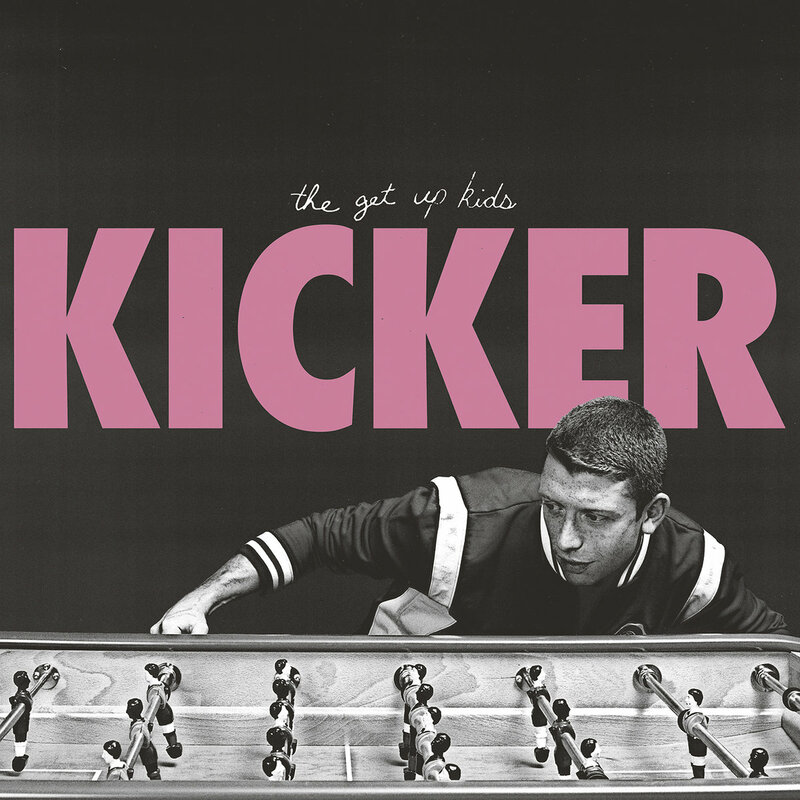 Get Up Kids return after seven years with their new EP ‘Kicker’ – Their last full album was 2011’s ‘There Are Rules’. Galway based Dott have released their debut album ‘Heart Swell’. The 12-track effort is the follow up to 2016’s ‘Timid Moves’ EP. Dave Matthews Band are back with their new album ‘Come Tomorrow’. The album marks the band’s ninth album overall, and their first release since 2012’s ‘Away from the World’. San Francisco based Howlin Rain have dropped their fifth full-length album ‘The Alligator Bride’. The seven track album is the follow up 2015’s ‘Mansion Songs’. Female fronted, four piece Bloxx have dropped a brand new track, ‘Second Opinion’. This track follows ‘Novocain’ which was released early this year. Interpol have dropped a new track ‘The Rover’ which is their first single from their recently announced sixth studio LP ‘Marauder’ set to be released August 24 – their first since 2014’s ‘El Pintor’. You Me At Six are back and dropped new two singles ‘3AM’ and ‘Fast Forward’. They have released details for their new album which is called ‘VI’ set to be released on October 5. Ohio four-piece The Candescents have shared a new single ‘Boyfriend’. With a debut EP set to drop this summer. Three-piece Sunset Sons have released their new single ‘Running Man’, which is their first new music since the release of their 2016 debut album ‘Very Rarely Say Die’. Posted on June 8, 2018 June 12, 2018 Author Ross HallsCategories FeaturesTags featured, Music, new noise1 Comment on New Noise 08/06: Idles, Deaf Havana, Dott and more! The countdown is on for Camden Rocks as we bring you our part two of a list of absolute cracking bands that will be hitting one of the many stages in Camden Town. Use this as a guide to either help you decide what bands to go see, or make it even more difficult to decide who to catch. Playing two sets on the day, you have double the chance to check out Scotland’s most exciting live bands as they will bring their vibrant energy and their memorable blend of musical and vocal styles to both stages they are set to perform! The London-based quintet’s brings you plenty of blues-infused, hard rock delights, a treat for any fan of rock or metal as their big guitar solos, clean vocals, and melodies are defiantly worth a listen at the festival. Although the four piece are still rather fresh with a few singles and an EP to their name. These guys are ones to check out for sure bringing their melodic rock and catchy vocals to Dingwalls Canalside, we personally are keen to see what this upcoming band has got in store for us! Childcare will definitely be one of the early ones in the day to catch as the London four piece will bring their lovable energy to the stage which will be a packed set with the kind of sweaty punk attitude and rawness you will expect from their unexpected chord twists and mix of vocals to kick-off the day at The Hawley Arms! Quoted as the female Royal Blood, this duo have been making waves already and it’s time for them to shine bringing their catchy tracks, upbeat feel which will be against heavy backbeats that are aggressive and the energy they will bring to Camden will be something you don’t want to miss! Defiantly check out the acoustic sets at the Brewdog as plenty of top talent are set to perform, including the talented Natalie Shay from London bringing her powerful voice and glorious guitar riffs to Camden Rocks as the 19-year old will instantly bring you a feel good mood in the afternoon! Fancy some deliciously cool desert rock sound of London’s L Sicario? The trio are a very fresh with three singles to their names but the talent from these guys is clear to see with their range of sound from jumpy guitar riffs to echoey verses and upbeat vocals which is why we are excited to check these out. Set to bring their grit and grace to Camden’s Black Heart, Freeze The Atlantic will be a band to check out late into the festival with the five-piece having plenty of material to go through which is exciting to see how some of their songs will be in a live setting. Are you up for a melodic end to Camden Rocks?